Phase transitions are common occurrences that dramatically change the properties of a material, the most familiar being the solid-liquid-gas transition in water. Each phase corresponds to a new arrangement of the atoms within the material, which dictate the properties of the substance. While these arrangements can be easily studied in each phase individually, it is significantly harder to study how they change their arrangements from one state to the other during a phase transition. This is because atoms are incredibly small, and the distances by which they move are correspondingly tiny and, as a result, they can occur very quickly. 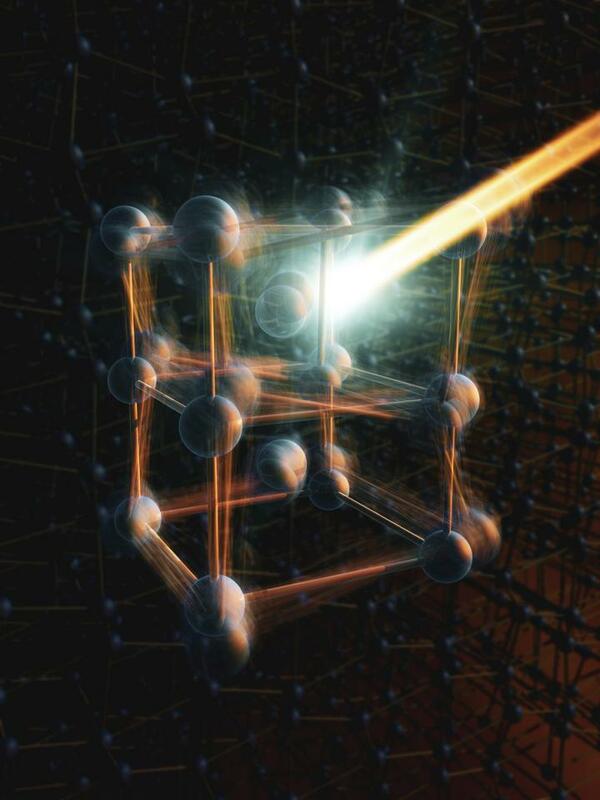 Furthermore, materials consist of over 1023 atoms, making it extremely challenging to track their individual motions. One particularly intriguing phase change is the insulator-metal transition in the material Vanadium Dioxide (VO2). At room temperature VO2 is an insulator, and inside the crystal, the vanadium ions form periodic chains of vanadium pairs, known as dimers. When this compound is heated to just above room temperature, the atomic structure changes and the pairs are broken, but the material remains a solid. At the same time, the conductivity of the material increases by over 5 orders of magnitude and has a diverse range of applications from energy-free climate control to infrared sensing.